With different technologies coming up on the best ways to rank, SEO still relies hugely on keyword analysis. You should see keywords as a compass that guides your standing and navigates where you’re going. 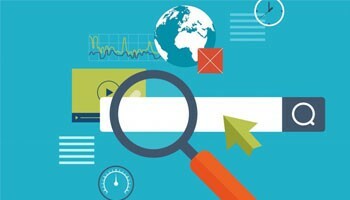 With this in mind, you need to consider keyword analysis as one of the foundations of SEO. This will easily identify the things that people are searching for on the internet whether it is a service or product. Keyword analysis will answer to you who is searching for you, what they are typing, what they aren’t clicking on, who is searching for you. With all this background information, you will be able to determine the strategy when coming up with content. This will give you habits of your audience. This exercise might seem to be time-consuming but there are plenty of tools that will assist you in doing this and achieve impressive results in no time. The first thing you need to do is determine your website’s niche, know the process of keyword analysis to assist in getting into the untapped marketplaces, learning about new trends and get into online conversations and dialogues. All these will give you proper keyword analysis and will earn you a higher return on your investment. There are two critical areas that will be involved in your keyword analysis. The first one will be finding out exactly what your customers and viewers are looking for. There are a myriad of online software that you can make use of when you need to do your keyword analysis. These applications are Google Keyword Planner, WordStream and Ubersuggest. Another great tool that you can use but has to be paid for is FreshKey. To get good results, you need to put yourself in the shoes of your customers and start brainstorming keywords your business needs to be a success. After accomplishing your first mission which is finding the keywords your target audience might need, the next step will be implementing the term in your content. Include the keywords in high attention areas like heading tags, URL, Meta tags, title and Meta description. As you do the keyword analysis and implement them; this might take a long time but you can still buy targeted traffic from us. We have a track record of selling genuine, quality, targeted traffic to businesses. We will send to your site, real-human traffic that will convert and make your business better.